As India treads a step closer to unfurling the country’s flag in a manned mission to space ‘Gaganyaan’, the Indian Space Research Organization has tasked the Indian Air Force with the selection and training of the Gagannauts. The Gaganyaan mission, as it's called, will launch from the Sriharikota spaceport in Andhra Pradesh sometime in 2022. It will carry a three-man team of "Vyomnauts" into low-earth orbit, where they will stay for at least a week, and then return them to Earth for debriefing. The mission will use India's GSLV Mk III three-stage rocket and will be a collaborative effort between ISRO and other national agencies. ISRO is taking help of the IAF to train 10 crew members of the country’s first human space flight programme. 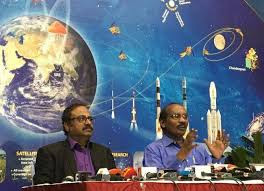 ISRO Chairman, K Sivan informed media that they have finalized all the criteria and requirements for crew selection and training. The same has been submitted to the IAF. The air force has now been given the full task of selection and training of the crew. The first two levels of training of the crew will happen at the IAF’s Institute of Aerospace Medicine (Bengaluru) and the final phase of training will be abroad.” he was quoted as saying. He said that ISRO wants IAF to train at least 10 candidates out of which three will be selected for the maiden space journey. While there were reports last year that countries like France and Russia were extending their support to the mission. It was reported that the French space agency, CNES will be combining their expertise in fields of space medicine, astronaut health monitoring, life support, radiation protection, space debris protection and personal hygiene systems to train future astronauts. However, Sivan has said that no final call regarding crew training abroad has been taken so far. Meanwhile, on February 08, Hindustan Times had reported the Armed Forces Medical Services (AFMS) was planning to collaborate with ISRO to develop an aerospace medicine soon. Reportedly, IAM (Institute of Aerospace Medicine) is affiliated to the Armed Forces Medical Services. The Institute provided medical support to the Indo-Soviet Manned Space Flight programme from 1982. Today, the Institute is the nodal agency in India for providing the best solutions in the fields of Aerospace Medicine. Recognized by the US and Russian Space Agencies, IAM has become the premier aeromedical centre in this part of the world. To avoid endangering human lives in the first space manned mission, ISRO will conduct two unmanned missions before the final mission and will carry humanoids, a robot that resembles a human being. While the first unmanned test flight will be carried out in December 2020, the second unmanned test will take place six months later in July 2021. Finally, the human space flight will be launched in December 2021. If this mission succeeds, India will join an exclusive group of countries that have put humans into space. We'll be just the fourth behind Russia, the US, and China.